The Chiefs and people of the two traditional areas of Afife and Weta in the Ketu North District of the Volta Region, say the decision by the President to elevate the area into a municipal status is not in their interest, thus they rather prefer a new district carved out of the existing one. Addressing journalists at Tadzewu near Dzodze on Friday, the people argued that, the elevation would do little to ensure an effective decentralization as envisaged by President Nana Akufo-Addo since the capital; Dzodze, is still remote from them. The Ketu North District consists of for main traditional areas; Dzodze, Penyi, Afife and Weta. The area has a unique topography with the Afife and Weta almost lying along the shoreline, while the other two dominate the rain forests. Most of their indigenes are predominantly into cassava, oil palm, maize, fish farming and piggery. The areas have potentials in food processing industries and salt mining. It would be recalled that, the President was enstooled as a Development Chief of Afife Traditional Area in the round up to the general elections that got him into power, with the expectations that he leads development in the district when successful. The Chiefs, who claimed they had earlier petitioned the Presidency on their demand to have a new district with a suggested name, “Ketu West”, said the decision to rather upgrade the existing district came as a surprise to them. “It must be noted that, these two traditional areas had earlier on submitted a proposal to his Excellency the President, the Local Government Minister, the Electoral Commission and all other relevant stakeholders to this effect. Unfortunately, no response had been heard. All we got to know is that, Ketu North District for which we currently belong, has been elevated to a municipality status which came as a disappointment; this is never our interest” he insisted. 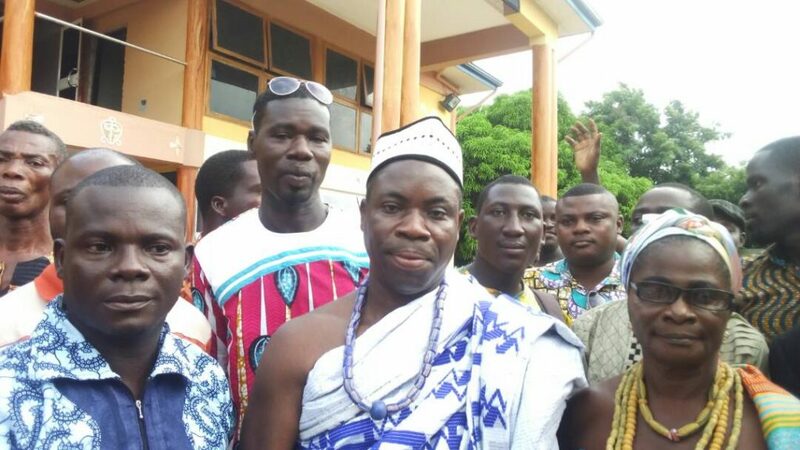 Reiterating their reservations over the move, the Paramount Chief of Afife Traditional Area, Torgbui Adrakpanya VI, called on parliament to hold on with the intended ratification of the Ketu North Municipality until their concern for a new district is resolved. The Ministry of Local Government and Rural Development presented to Parliament a Legislative Instrument (LI) for the creation, elevation and alignment of some MMDA’s in the country, of which Ketu North was earmarked for elevation into a Municipality status. The LI, which was laid this month [November] would mature in 21 sitting days.